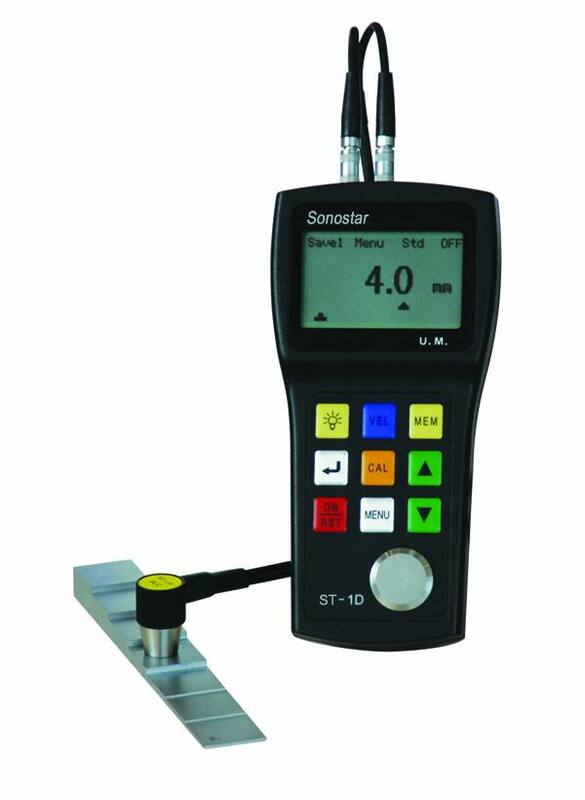 ST-1 ultrasonic thickness gauge made by our factory is a simple-to-use, highly accurate, hand-held ultrasonic thickness gauge with the operating principle of ultrasonic wave measuring. It can measure quickly, nondestructively and precisely with a resolution of 0.1mm or 0.01in. This instrument can be widely used in the fields such as manufacturing, metal processing, chemistry and business inspecting for measuring the thickness of all sorts of materials where ultrasonic wave can spread through with a constant speed and get the reflection from the back side. Apart from making accurate measure on various kinds of plates and processing components, it can also make detection on various kinds of pipes and pressure containers of the manufacturing facilities about their thickness loss after corrosion. ST-1 is an incensory specialized instrument for material protection.